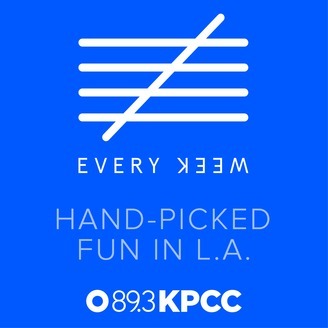 Here from the people who created the 5 Every Day app, it&#39;s a weekly podcast with 5 interesting things to do in Los Angeles, every week. Think of it as on-demand, portable, audio exploration engine, combing the city for wonderful things. We&#39;ll cover art, food, music, civic happenings, insider secrets and surprises. And we’ll do it every week, in five minutes. Black Mountain College! Seafood City! Alt Movie Star Handprints! Lower Dens! Super Tight! It's all super tight: a museum exhibit on the coolest college ever, handprints for movie stars you actually like, the best seafood selection this side of the pacific, and live music at the Natural History Museum! 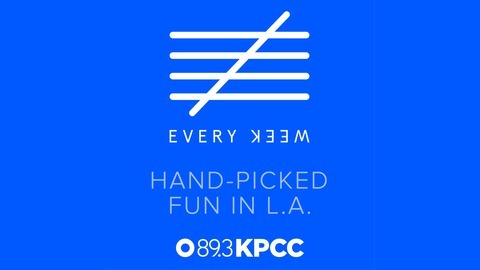 LA Art Book Fair, Purple Rain Remake, K-Town's Weirdest Restaurant, DJ Douggpound Live, and FLOWERS!!!! Neon museum, VR theme park, secret food window, Japanese skincare, Mardi Gras music! Paramount Ranch! Camellia Festival! Secret restaurant! Lucky Dragons! Ritzy Botanica!